Sixteen-year-old Miriam gets her first summer job at an all-in holiday resort in North County Dublin. When she arrives she meets Marie-Claire, and finds a friendship that will change her life forever. 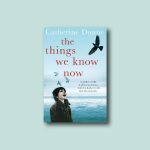 Beautifully written, perfectly paced and very, very moving. It is a triumph of the ordinary. When it comes to an end, you feel you’ve lost your best friend. A virtuoso performance from a writer of enormous promise. A Name For Himself highlights the exceptional and unfathomable depths of what we nonchalantly dimiss as the ordinary, the normal, the everyday. In the deft hands of Dunne, the ordinary becomes story-worthy. 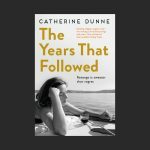 Dunne writes compellingly about obsessive love, showing how apparently normal states of mind can shade into madness. 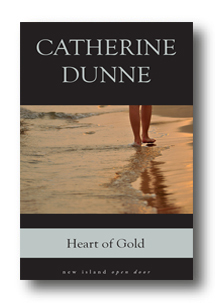 A startling struggle-of-love study…Dunne’s Dublin dialogue is deft, her writing sings. Elegant, lucid prose…with depth, intelligence and a few surprises. The Walled Garden is that great rarity: a flawless novel. A hugely gratifying book; something to feed the spirit again and again.